How to...for acting websites in The Stage this week - B.A.B.E. 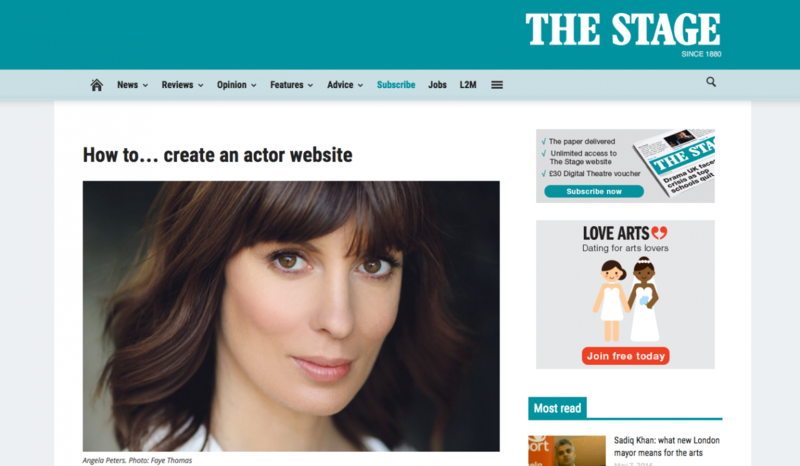 How is your acting website on a scale of 1-10? Would you say people rave about it? Do they come back and look at it again and again? Yes you know I love to talk about branding and stereotypes and emails to Casting Directors and what you should tweet and what you should write and all that stuff. And I also love talking about acting websites. So you can imagine how chuffed I was when John Byrne at The Stage asked me to write a piece for them about acting websites. Want to rebrand your actor self? Emails (and business cards) with branding! Websites that make the difference. And finally, showreels Part 1 and Part 2 with guest blogger Paul Barry (Acting 4 Camera). So don’t say you don’t know your USP once you finish this series. And if you want to test yourself…email me and I’ll send you the test questions to see if you really have it worked out. Good luck!